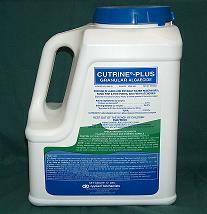 CUTRINE-PLUS has no water use restrictions. 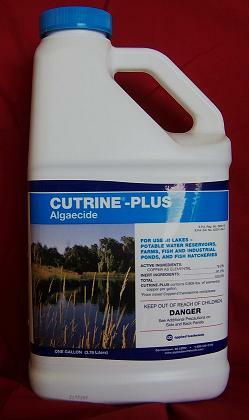 This product can be toxic to Trout, Koi and some Grass Carp. Always read label and follow all safety precautions related to this product. 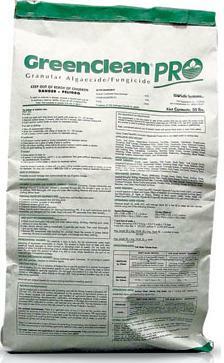 APPLICATION RATE FOR GRANULAR: Apply directly over infested area at the rate of 1 pound per 720 square feet (72' X 10'). Large areas should be treated at the rate of 60 pounds per surface acre (208' X 208'). 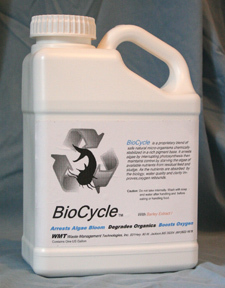 APPLICATION RATE FOR LIQUID: Apply as a spray directly on algae. Use a mixture of 9 parts water to 1 part product.